Now that the concept of the Open University distance education are budding in India too, let us explain you both the terms first. 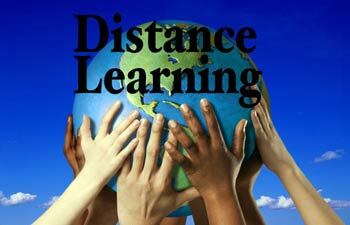 The distant education name itself clarifies that you can learn from a distance. You don’t need to go to the college to take the classes, but you can learn the subject online or through available course material. Open University is the university, where no academic qualifications are required. You can earn graduate, post graduate, certificates of diploma or other certifications through open universities. Many Open University offers distance courses and graduation programs to aid the subjects to achieve all round knowledge and excel in life. The concept of Open University in India is very well known through IGNOU, but now many other competitive organizations are there to provide the best in class educational structure and above all the knowledge for the required subject. You can know more about courses and details of open universities distance education in our next articles. Why Open University Distance Education is better? Education is now no longer just the matter of merits, but people have started understanding the value of interest and knowledge. We do understand the need of the hustle bustle of human life. There are many cases, where girls cannot study. Girls get married early and have to leave studies. It is also a boon for residents of rural area, poor people and some marginalized people of our society. Some programs are specifically designed to improve the livelihood of rural. Open University and distant learning in itself is a virtue. Here a student can acquire knowledge as per the choice. So ultimately, it becomes a matter of knowledge and no degree based on memory power. The distance learning programs are becoming more and more popular presently as people are becoming web oriented. India is becoming digital India in the near future, the internet is reaching at all corners of the country at this point, transportation can be a problem, but reaching digitally to your college is an ease. Here the classes are conducted as per ease of the students. Either they can get recorded videos or online sessions. Course material also is available online in the student’s wallet section where they can be prepared before the class. So the days are gone, when students have to swim a river or climb a hill to reach schools. The only thing they need to do now is to concentrate on their studies. You can have a look at various courses offered by Open Universities. The graduate section covers the field of arts, science and commerce. The post graduate section covers arts, science, commerce and Masters in business courses. Fees structure and duration of the course are given on the site of the Open University. The exam centers are also mentioned on the website, which can make it easy for the one, who is applying to decide prior to select the nearest exam location. When there is a thirst for knowledge, open university distance education is a way to move out all hurdles in your way.